Panama Rocks is closed for the winter until Saturday, May 4th! Panama Rocks is open daily from 10:00am to 5:00pm from early May through the last weekend of October; last admission to the scenic area is at 4:00pm. For Axcellent Adventure hours, click here. You are responsible for your own safety. Guests under the age of 18 must be accompanied by a responsible adults and we do NOT allow pets in the park. Wear suitable footwear for hiking. Ages 5 & Under: Free! * All passes EXCLUDE separately priced activities/events such as the Wild America Nature Festival and Axcellent Adventures. Pass types, entitlements, and prices subject to change without notice. Season passes are nontransferable and nonrefundable. For pricing information on Axcellent Adventures click here and for pricing for Roger Tory Peterson's Wild America Nature Festival visit www.wildamericafest.com. The vast majority of our visitors, from young children to senior citizens, have a safe and enjoyable experience; however, accidents may result in serious injury or death. You are responsible for your own safety! Hike Carefully: Anyone under the age of 18 must be accompanied by a responsible adult. Do not leave children or youth in the scenic rock area without adequate, responsible supervision. Do not run - there are cliffs! PETS ARE NOT PERMITTED FOR SAFETY REASONS - SORRY! Wear footwear suitable for hiking – we strongly advise against wearing flip-flops, cowboy boots, or high heels. The trail is not stroller accessible nor wheelchair accessible; we recommend a backpack type carrier for small children. Protect Nature: Please do not pick flowers, plants, or fungi, break tree branches, remove moss from the rocks, or otherwise disturb flora and fauna in the park. Do not litter and do not carve into our trees: leave no trace! No Rappelling On Holiday Weekends: Rappelling is allowed but not on holiday weekends. Please do not damage native flora – no rappelling down moss covered cliffs, etc. Keep Noise Low: Radios, etc., are restricted to the picnic area and we ask that the volume be kept low. Looking for more things to do in Chautauqua County? 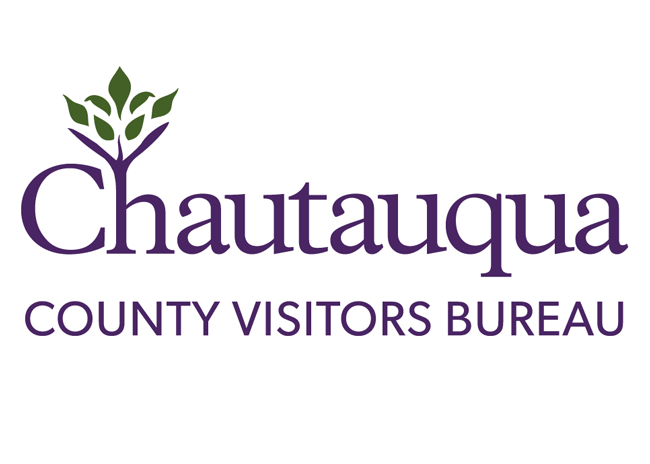 Visit TourChautauqua.com!